Chabad House of Northern Palm Beach Island will celebrate Purim with a Hamentashen baking event and puppet show for children at 10:30 a.m. Tuesday at the Four Arts Children Library, 100 Four Arts Plaza. 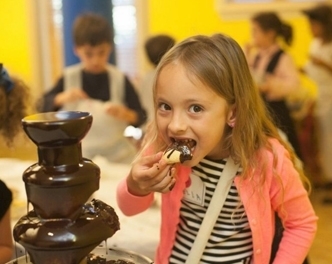 The Chabad’s “Kids in the Purim Kitchen” event will feature guests from the Purim story, like Queen Esther, Haman, Mordechai and the palace jester. Children will make Hamentashen of their choice, read books about Purim, and take home a laminated Hamentashen recipe card. The event is a project of The Chabad House’s Jewish Youth Zone and the Jewish Federation of Palm Beach County’s PJ Library Program. The Chabad is at 361 S. County Road. Call 659-3884 or go to palmbeachjewish.com.